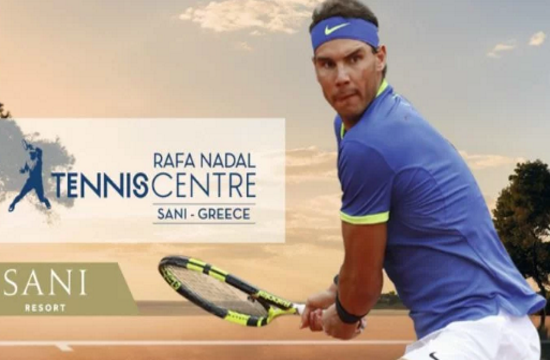 The Rafa Nadal Tennis Centre will be located in the five star Sani Resort in Halkidiki, one of the most popular tourist destinations in the country. “I am very happy that we officially announced the birth of a new Rafa Nadal Tennis Centre in Greece”, Nadal noted. The Spanish tennis player also has other tennis centres named after him around the globe, including in Mallorca, Spain, Cancun and Mexico. CEO of Sani Resort, Andreas Andreadis commented that they are excited to host a new venue of the Rafa Nadal Tennis Centre. The centre will feature eight clay-courts and will be available to players of all ages and levels. Tennis lessons by high-level coaches will also be available.